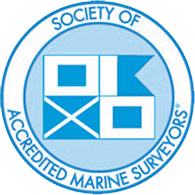 All Marine Surveying has been serving our customers in Southwest Florida for over 20 years. We perform all types of vessel surveys including general, advanced and insurance surveys. 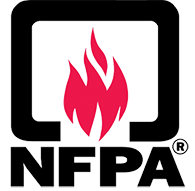 Growing up in Ft. Lauderdale, Florida I have been involved with the marine industry for thirty five years. I worked as a crew-member on several power and sailing yachts, and worked for two boat dealerships rigging, operating & selling power vessels. After four years sailing for the Navy, and receiving an honorable discharge, I pursued a B.A. degree in business and went on to get my United States Coast Guard Sixteen Hundred Ton Oceans Master's License. I have worked on USCG inspected and licensed vessels. I am a member of SAMS (SA), credentialed by the Nautical Institute, and Licensed by the U.S.C.G. I have also worked in the marine insurance industry for many years. In 2001 we moved to beautiful South Fort Myers. We look forward to helping you realize your boat ownership dreams. There are 2 basic types of marine surveys. We carefully check over 100 items on your vessel including all electric, hydraulic and mechanical systems as well as checking the hull integrity. This determines the current fair market value of the vessel, for purchase or financing. A general condition report of the vessel and it's related systems. A real world test of the vessel and its systems while underway. Includes moisture testing the hull structure. This is the most comprehensive type of survey, It includes all the items in the general survey, a haul-out inspection, and a sea-trial of the vessel and its performance, which helps to determine the market value for the vessels intended use. The Yacht Watch Service is an on location vessel monitoring service that checks the moorings, fenders, air conditioning/ventilation, bilges, shore power, canvas and overall condition of the vessel, and informs the owner of all findings. The frequency of these checks increases in inclement weather. When You Retain All Marine Surveying, We Do The Best For You.